And to the Faith once delivered unto the Saints. The Book, the Blood, and the Blessed Hope of our Lord's soon return." 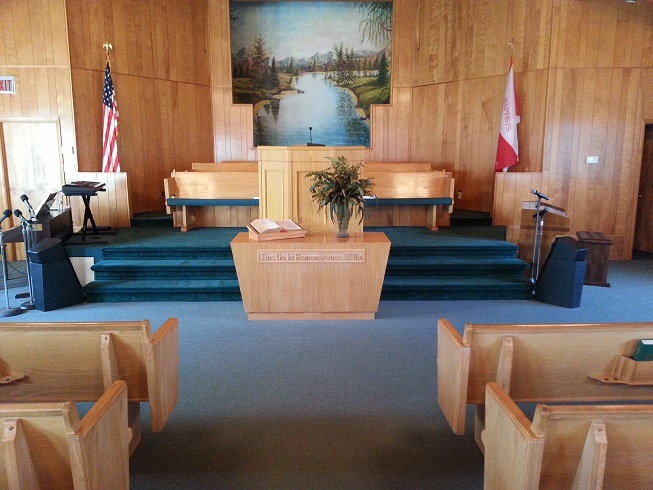 Desiring a flag with which to identify, yet reluctant to embrace the Christian Flag because of its adoption by a broad scope of religious groups which have blurred its distinctiveness, FRMBC decided to display a flag which is attractive in its appearance and distinct in its message. This flag emphasizes the theme "The Tie That Binds." It embodies the three-fold cord which binds true Baptists around the world - seen by the red bowtie design. 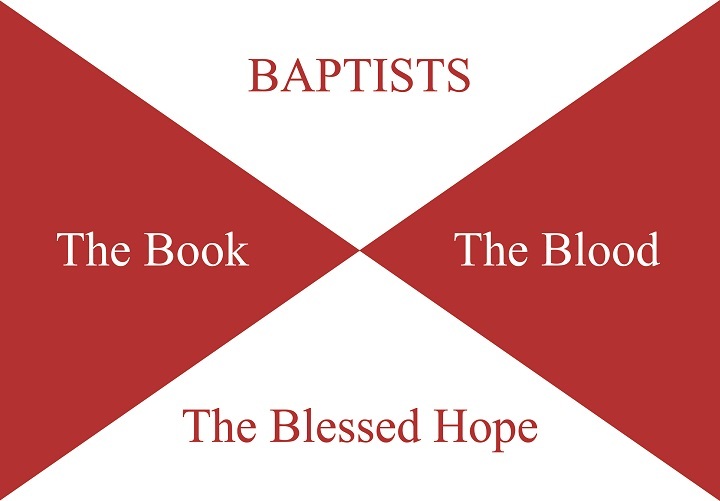 As Baptists, we hold to the Book, the Word of God (the King James Bible) as our rule for faith and practice; the Blood shed by Christ for the remission of sin; and the Blessed Hope of the return of Christ to unite us together in Heaven, and eventually the new earth, with Him for all eternity.